Oklahoma City-based Hobby Lobby, and it’s sister company Mardel, Inc., will defy a federal law that requires employee health care plans to provide insurance coverage for types of contraception that the firm’s owners consider to be “abortion-causing drugs and devices,” an attorney for the company said Thursday. Hobby Lobby has decided that providing birth control, specifically Plan B, or the morning after pill, to their employees through their insurance is in violation of their religious freedom under the Religious Freedom Restoration Act (RFRA). To deny insurance coverage for this form of birth control based upon their religious beliefs is actually violating employee’s religious freedom by forcing the employers beliefs upon those of their employees. 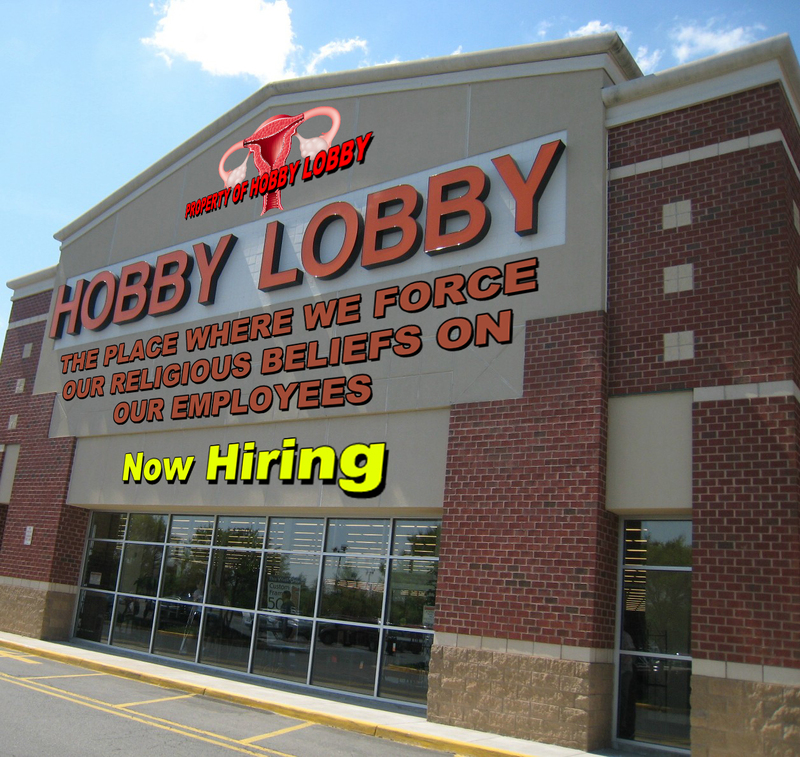 Hobby Lobby is free to practice their own beliefs…. If they do not support this method of birth control, then they are able to make their own choice to not use it. 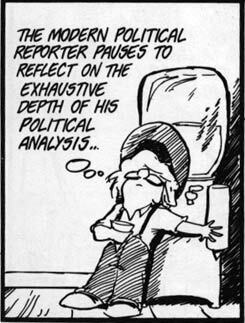 But do not skew the law to fit one’s own personal ignorance. This refusal to comply can result in fines of up to $1.3 million a day. After the for-profit companies was ruled against by the U.S. District Court in November, Hobby Lobby attempted to file an appeal with the Supreme Court only to be denied by Justice Sonia Sotomayor. She simply refuses to hear the case. 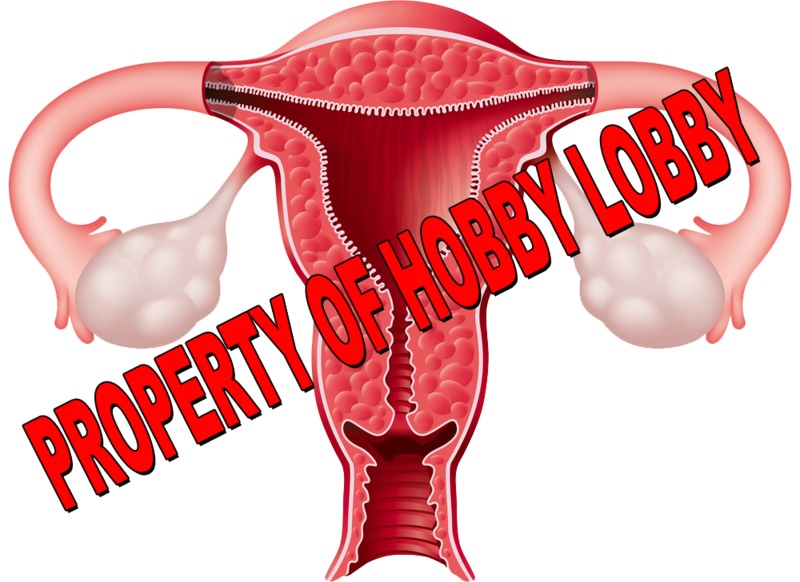 The contraception that Hobby Lobby opposes is a form of birth control, not an abortion pill. In order to abort a fetus, well, there must be a fetus. The egg may not even be fertilized at this point. But if so, it has not yet implanted to the wall of the uterus, which occurs on or about day 8. When taking this form of birth control, the zygote would still be in early stages of cleavage, or cell division, and is not yet considered an embryo, but is called a blastocyst. The human blastocyst comprises 70-100 cells. There are more cells in the skin scratched off of your nose than there is in a blastocyst. It is not human life at this stage. It is not until between days 10 to 14 that a “pregnancy” becomes established. One type of emergency contraception (Plan B One-Step, Next Choice, Levonorgestrel Tablets) is made of one of the hormones made by a woman’s body — progestin. Another type (ella) blocks the body’s own progestin. Both types of emergency contraception work by keeping a woman’s ovaries from releasing eggs — ovulation. Pregnancy cannot happen if there is no egg to join with sperm. You might have also heard that the morning-after pill causes an abortion. But that’s not true. The morning-after pill is not the abortion pill. Emergency contraception is birth control, not abortion. If the courts were to rule in favor of Hobby Lobby, then it would open the door and allow companies to violate the rights of their employees for any reason they see fit due to “religious beliefs.” Some religions do not consume pork, for example. If the owner of a business follows this religion, they would then be able to mandate that their employees are not allowed to eat pork. Thankfully the courts understand that the “freedom of religion” allows one the freedom to choose and follow any religion they so desire. Freedom of religion does NOT allow anyone, whether employer or not, to restrict equal treatment of their employees due to their own religious beliefs. SCOTUS: APPLICATION FOR INJUNCTION, HOBBY LOBBY STORES, INC., ET AL., v. KATHLEEN SEBELIUS, SECRETARY OF HEALTH AND HUMAN SERVICES, ET AL. It mentioned that, too. Thankfully the courts did not rule in favor of Hobby Lobby. That’d be a horrible precedence. Hopefully they’ll be fined the maximum amount per day and realize they will not be able to stay in business unless they cover birth control for women. As someone on HuffPo commented, if Hobby Lobby wants this sort of protection of their religious beliefs, they need to become a church. Then those who are for it in the top of the board had better be ready to pay the fine, not the company. Hold them liable for the action, not the company person construct, as this construct cannot be a religious person. Treating a company as a person is still a stupid thing. Rather hold the directors ( who are collectively the brain) as being the responsible ones. I was looking for information on how the company is currently arranged. I didn’t look for very long, I’ll admit. But, for example, do a set up siblings own it? Is their a board of directors? Is it owned by stockholders? Etc. You have a valid point there. It would make sense that they pay the fine rather than the company. Do they cover viagra for men? ?